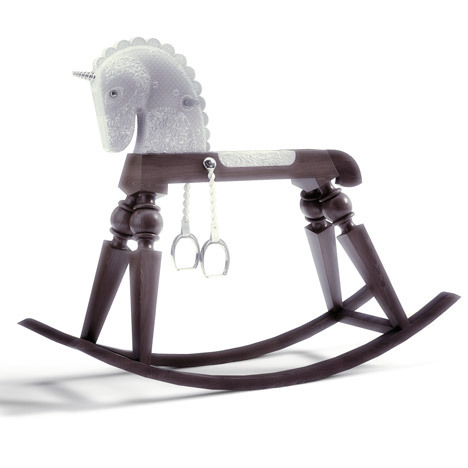 Moooi is launching a bunch of merch at the Milan thing this week, including this limited edition, rhinestone-covered rocking unicorn by Marcel Wanders. Called Arion--which, be sure you hit that ON in there, otherwise, kind of awkward--I assume they're made by chopping the legs off a very select group of people's grandmothers' dining tables. It really is an embarrassing object about which Dezeen will only have good things to say, since they've just launched a year-long PR project with Moooi.